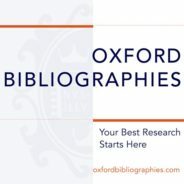 Oxford Bibliographies is a sophisticated online recommendation service that provides original scholarly content used and trusted by professional researchers worldwide. In the late 1970s, Tennessee Williams frequently visited London, feeling that European stages were more catholic than New York’s and thus open to producing his plays at a time when America was growing less tolerant of his brand of theatre. While in London, Williams would often visit celebrity painter Michael Garady and swap writing for painting lessons. 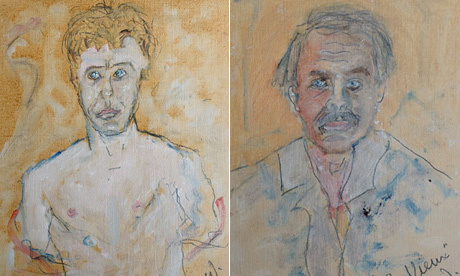 In an interview with The Guardian, Garady recounts those days when Williams painted his portrait (below left) and another self-portrait (below right), which Williams entitled Le Vieux TW (Williams nearly always gave his paintings French titles, perhaps to lend them gravitas). The wild, drugged-out look of 1972 is now gone, but wrinkles clearly mark the brow, and he appears to have one eye looking straight at the viewer and one slightly askance. Although this was an accurate portrayal of his wonky eyes—Williams suffered from chronic eye-problems, the crooked gaze he captures here no doubt served another purpose. Metaphorically speaking, the bifurcated gaze in this last self-portrait perfectly captures Williams’s sense of his divided self as he approached the eighties. He was equally nostalgic for the salad days that allowed him to write and experiment freely with art forms and hungry for the Cinderella comeback that would silence the naysayers and reaffirm his status as America’s greatest living playwright. It is only fitting, then, that Williams revisited an older one-act play of his, The Parade, to fuse past and present. He had begun writing the play as early as 1940, during his first visit to Provincetown, where he would befriend Hans Hoffmann. Hoffman’s abstract expressionism would greatly influence Williams’s theory of the plastic theatre. The Parade eventually became the full-length play Something Cloudy, Something Clear, a title that could be readily affixed to any of his self-portraits. Figuratively and literally recalling the way he saw the world, Something Cloudy, Something Clear also represents the “two sides of my nature,” as he confided to Dotson Rader in 1981: “The side that was obsessively homosexual, compulsively interested in sexuality. And the side that in those days was gentle and understanding and contemplative.” Selfies rarely, if ever, capture anything more than a one-dimensional figure in two-dimensional space. Le Vieux TW (Tennessee Williams, self-portrait), n.d. (ca. 1978/1979). Courtesy of Michael Garady. Used with permission. Their artistic merits notwithstanding, all of Williams’s several self-portraits discussed in these three blogs evince a playwright who took his painting seriously. Never formally trained, and certainly more dabbler than master, Williams nonetheless called many of the world’s most celebrated artists his friends, and each imparted his or her wisdom or knowledge to the eager student: Adelaide Parrott, a WPA art instructor who gave Williams informal lessons during his California road-trip in 1939; New Orleans painters Fritz Bultman and Olive Leonhardt, who would be immortalized as Moise in Williams’s 1975 novel, Moise and the World of Reason; sculptor Tony Smith, who had studied with Bultman at the New Bauhaus in Chicago; abstract expressionist Jackson Pollock, whose death inspired Williams’s play In the Bar of the Tokyo Hotel (1969); southern painter Henry Faulkner, who often painted with Williams in Key West or in Italy; Australian artist Michael Garady, who tutored Williams in the late seventies whenever he was in London; and Vassilis Voglis, a Greek painter who remained one of Williams’s closest friends at the end of his life. Simply put, Williams’s rolodex held as many painters’ names as it did theatre directors’ or Broadway producers’; so it should come as no surprise that his paintings meant a lot to him and to his creative oeuvre. When asked once if he had kept souvenirs from his past, Williams quipped about having collected memories, not mementoes, throughout his life. Arguably, self-portraits are Williams’s memories, subjective representations of a moment frozen in time yet unfettered by historicity and susceptible to change over the years; whereas selfies are his mementos, objectified reproductions of a frozen moment in time duly framed by its history and tethered to a unique recollection. A self-portrait aspires and inspires; a selfie captures and recalls. Williams, I believe, preferred the self-portrait, be it in image or in words, because it spoke about the individual but to the universal. One question, though, still begs: were he alive today and in possession of a smartphone, would Williams take a selfie? I have my serious doubts. Featured image credit: Tennessee Williams star on the St. Louis Walk of Fame by E. Coman. CC BY-SA 3.0 via Wikimedia Commons. John S. Bak is Professeur at the Université de Lorraine in France and past Visiting Senior Fellow at Wolfson College, University of Oxford. He had edited Tennessee Williams and Europe (Rodopi, 2014) and New Selected Essays: Where I Live (New Directions, 2009), and is the author of the monographs Ernest Hemingway, Tennessee Williams, and Queer Masculinities (Fairleigh Dickinson University Press, 2009) and Tennessee Williams: A Literary Life (Palgrave, 2013). He is the author of the "Tennessee Williams" article for the Oxford Bibliographies in American Literature. He is currently co-writing with Sophie Maruéjouls-Koch a study of Williams’s paintings, entitled T.W. : Tennessee Williams, Painter-Playwright.